Today was supposed to be a day of celebration and a moment of victory for the United States with the inauguration of our first woman president, Hillary Clinton. That is obviously not what happened today, as Donald Trump was officially sworn in. Out of self-preservation and the fact that I’d need six strong drinks just to finish this paragraph, let’s look past who is now the president to the man who just left office. Barack Obama was the recipient of my first ever vote for president in 2012, and he would continue to have my vote in any election in the future. Although many oppose the changes he brought to our country, I am confident that time will ultimately prove that the eight years of the Obama administration will go down as some of the most important in American history. Victories for health care and civil rights are moments that will ultimately prove transformative for the better in our country. There is still great progress to be made in our country with regards to violence, racism, and sexism – problems that do not seem particularly promising under the new regime. Because these problems continue to plague our country, I think that the goodbye that we say to President Barack Obama and his family will be short lived. The most important thing that the country needs is leadership. Barack Obama dutifully led this country out of one of the worst economic crises in history to a greatly improved job market and helped the country cope with great losses, including Sandy Hook and the Pulse Nightclub. With an entirely inexperienced leader in charge, I am confident that we will hear the voices of both Barack and Michelle Obama loudly and often. 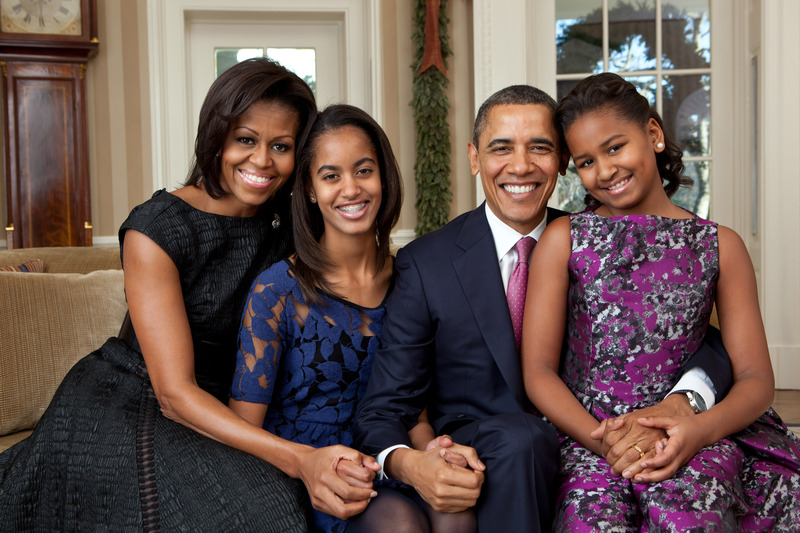 Their time as our first family may technically be finished, but we are far from finished with the Obama family at the forefront of our country. Perhaps this is wishful thinking on my end, but I’ll be damned if I don’t need it on a day like today. I’m just trying to talk myself into how this could not be a disaster going forward. Let’s close this out by lightening the mood. I give you Stephen Colbert – the character, not the Late Show host – giving his final goodbye to President Obama.